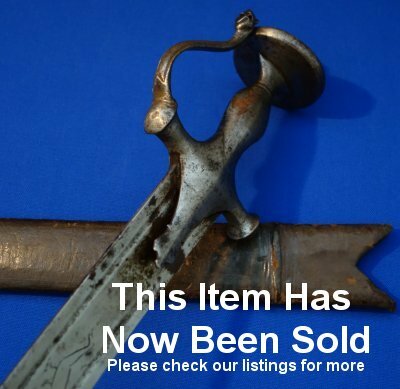 In good overall condition, a rare 19th Century Straight Bladed Indian Kirach Tulwar. Complete with maker's name to the spine and jovial demon / devil to the blade, a rare form of Indian Tulwar. 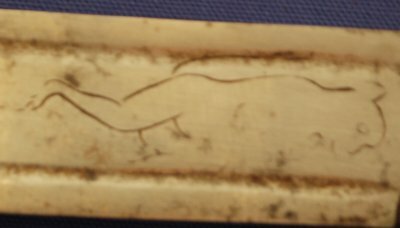 A long blade, so probably for a mounted officer. The 35 1/2 inch blade is in good condition and firm in the hilt. 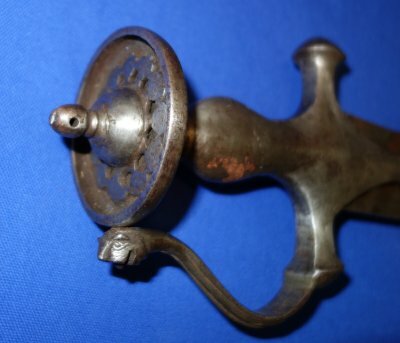 The hilt aged but in good condition. Everything firm. The original leather scabbard also good, and the sword sheathes and draws well. A great example and sword for any collector. Yours for only £? (too late, now sold). Please quote item reference M76 (1281). Further / full sized images available upon request.